UPDATE: The game is now out of Early Access! Icetesy has a very peculiar game on Steam. Their new runner/rhythm game is here to sync its gameplay to your own music; this is Melody’s Escape. Ever wonder how cool your character would look with music from your phone but then realize how that would most likely never happen thanks to copyright? Well now you can, thanks to Melody she will be the one running through your awesome beats! 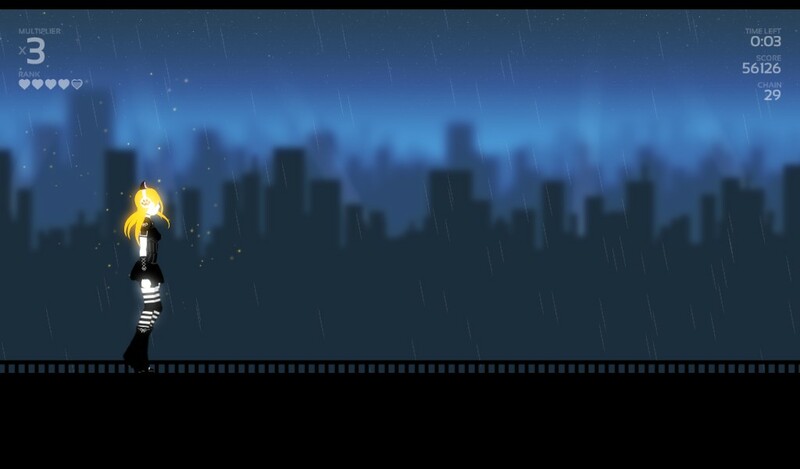 Melody’s Escape has an “advanced audio detection algorithm”, when you load in a song it transcribes the energy you feel (or the basic structure of a song) and synchronizes it with different running mechanics, it even adapts in real-time depending on the intensity of the track. Yellow: Suitable during slow or weak sections of a song. Primarily tapped with Y. This the first mechanic, also known as Walking. Red: Start warming up by Jogging! Now you have stuff you need to parkour-jump over and do short slides or rails. This one usually goes during low-mid frequency beats. B button. Blue: Time to escape! Its Running time! Jump over enormous gaps and slide with style and speed. Great during intense bass action. X button. Green: This is one pretty cool, since you actually FLY with your rocket boots? This one pops up regularly during songs that have a main Voice going on or long held notes, also fluent with melodic sequences. You guessed it, A button. Okay! How fluid is it? 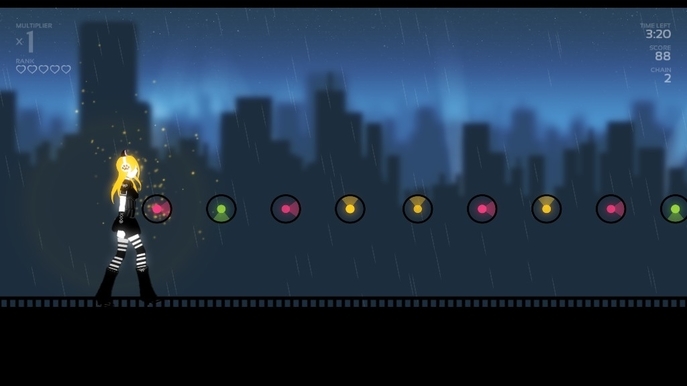 The objective of the game is to tap the corresponding button to the color orb that Melody reaches the moment she is touching it or on top of it. At first it will be a bit difficult but after a while you will get the hang of it. 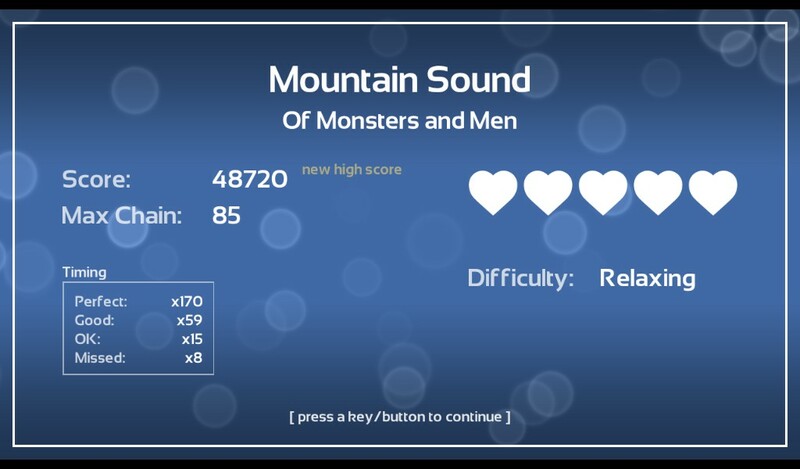 As you choose a song from your Folders the game will immediately identity its BPM/tempo to simulate the best rhythm experience possible, depending of course on the difficulty you’ll be playing. 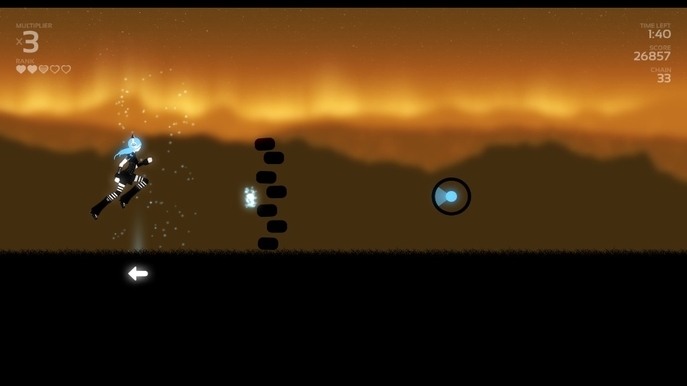 You can play on Relaxing mode (each sequence with its corresponding color), Normal (4 colors mixed up in other’s sequences), Intense (hold your horses cause now you need to use your analog stick and send it to where the arrows on the floor are pointing or where the colored orb is directing!). How is its current stage? For an Early Access game, it is a very stable build. Not only that but it loads at a very significant speed, even for such a complex algorithm. It also offers a very wide variety of settings. The performance window allows you to check and set whatever suits your FPS standards, I highly suggest using V-Sync as without it you will get a weird blurry effect on your peripheral vision during gameplay, also Anti-Aliasing if you can hold it up. Ot also has a decent amount of options for what resolution you want to play in. There is no excuse to play this with incredible FPS and with great fluid graphics. Most importantly! The game’s music format compatibility is astonishingly wide. Ranging from mp3s to FLAC! Enjoy your music with the best quality you can implement to it, doesn’t matter how large the file, it will load the level just as fast. 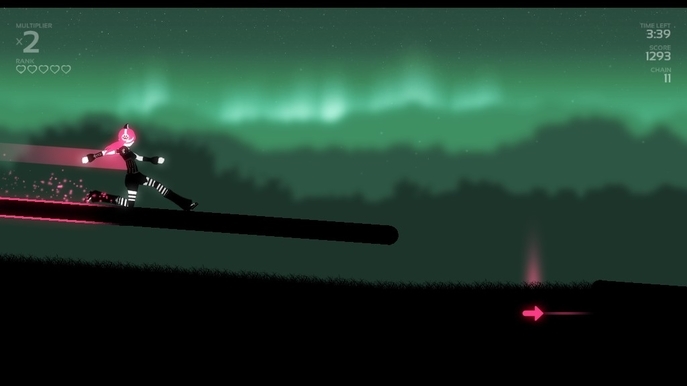 The game’s visual design is pretty straight forward, a silhouette girl with somehow glowing clothes and an amazing hair that changes color depending on the sequence you are, also its animation is probably better than some Tress FX. Any who! General animations and movements are fluid and quite appealing. 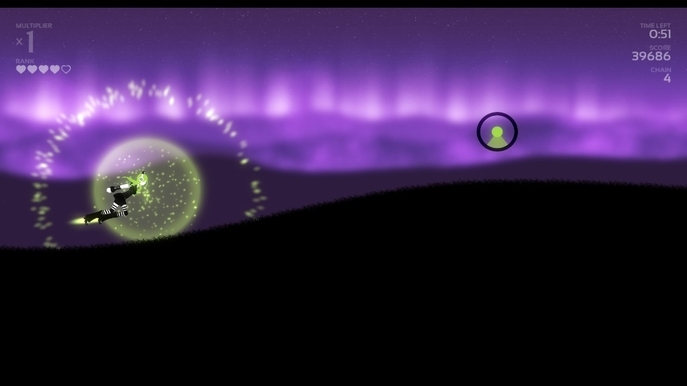 Environments have different scenarios, like storming deserts, twilight ambience, city in the night, green forests, and they all have a color palette that contrasts with the orb’s color. 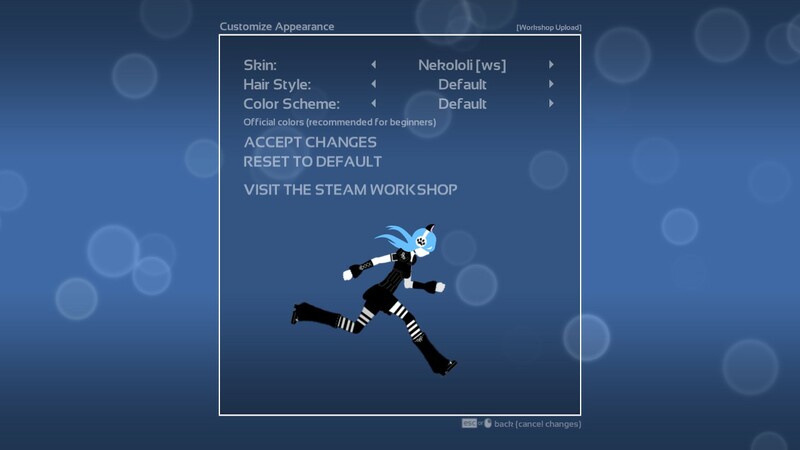 You can also customize your character with a limited amount of options, ranging from your colors to hair styles, if that isn’t enough you can download custom skins from Steam’s Workshop (on pictures I used NekoLoli by Nitric), I’ve heard there is even a Miku costume.